So when she got the news of being selected over the other two finalists (Son of a Policeman and Donamarie), Rozella could not believe the timing as she was unwell and longing for home. “I got really choked up because I was feeling all the emotions of the song. It was, oddly enough, a moment that’s come full circle,” said the songbird who moved to make Kuala Lumpur her base in May. Her video chat session with the Scottish synthpop band took place soon after and for the fangirl, the conversation with Chvrches was rather surreal. They shared with her great industry insights such as how “people will always have an opinion” and that at the end of the day, what’s important is for her to trust her gut feel and to do what is right by her. As for Home To You, Chvrches told her that they “loved the simplicity of the track”, which allowed them more experimental space to inject their sound including incorporating voice chopping. “I’ve been a fan of theirs since I saw them live at the 2014 Laneway Festival. I admire how they make pop music that carries weight and translate in their lyrics. So to be given an opportunity to have a song that I wrote remixed by an artist at that level is amazing. It’s something new comers like me dream of. I still can’t believe that it’s happening. I’m so grateful for the experience and being a part of Tiger Jams has taught me so much. This really is the icing on the cake,” she said. Formed in 2011 as a studio project between long-time friends Iain Cook and Martin Doherty – Chvrches, which also features Lauren Mayberry on lead vocals, released their debut album, The Bones of What You Believe in 2013. The album earned them widespread critical acclaim as well as a strong fan base after touring extensively throughout 2014. The band’s sound mostly derives from the synthpop genre, with indietronica and indie pop influences. Their second album, Every Open Eye, was released in 2015 to rave reviews, and this year band wrote the original track to the recently released Mirror’s Edge Catalyst, an action-adventure platform video game. Their success and grounded personalities make them a no-brainer choice for a collaboration with one of Malaysia’s top undiscovered talents. Taking place on Sept 2 at Rhapsody Square, Trec, Tiger Jams Centrestage will feature the Top 3 contestants – Rozella, Son of a Policeman, Donamarie, acclaimed Asian acts The Sam Willows (Singapore), ToNick (Hong Kong) and Darren Ashley (Malaysia), and Chvrches. 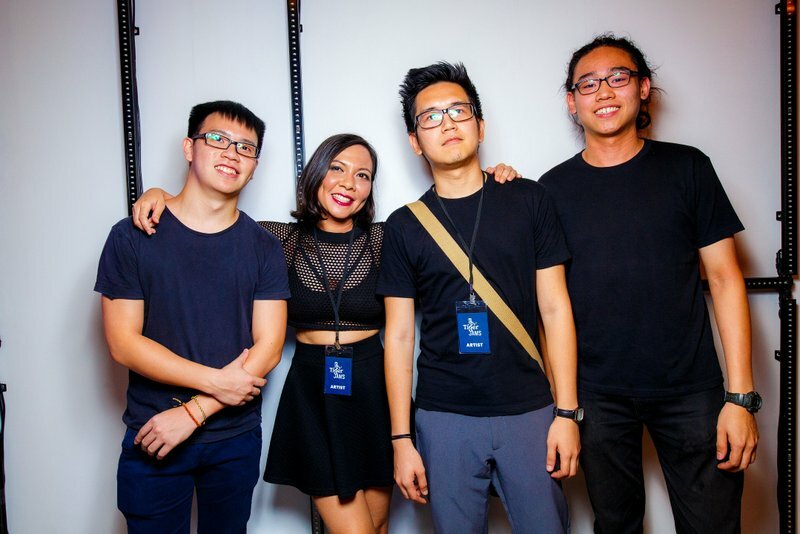 The venue will also showcase art pieces by Tiger Jams’ local visual artist, Donald Abraham, Kenji Chai and Flex, who were also instrumental in the creative production of each of the three finalists’ music video made for their Tiger Jams’ original track. This entry was posted in News and tagged band, live show, music, tiger jams, tigerbeermy, TREC, trec kl, uncagemusic by TheGoodGoodGuy. Bookmark the permalink.